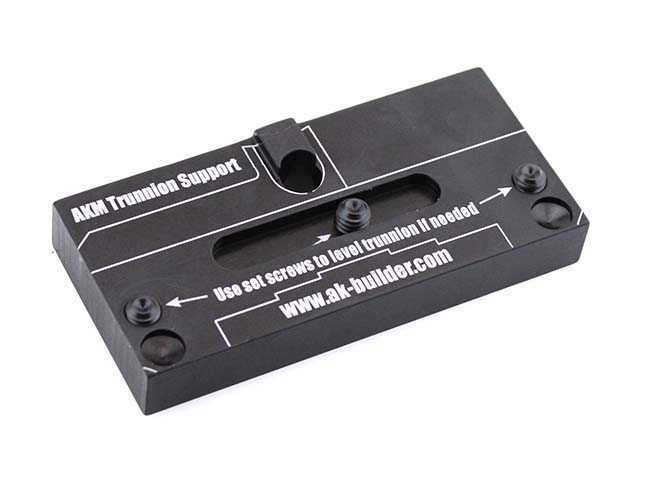 Support plate for pressing in or out your barrel pins on an AKM style trunnion. 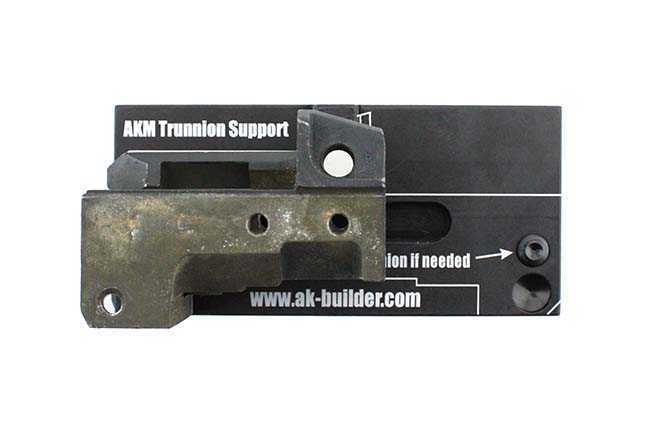 These are not specifically made for use with any of the bulged trunnion 1.5mm receivers. 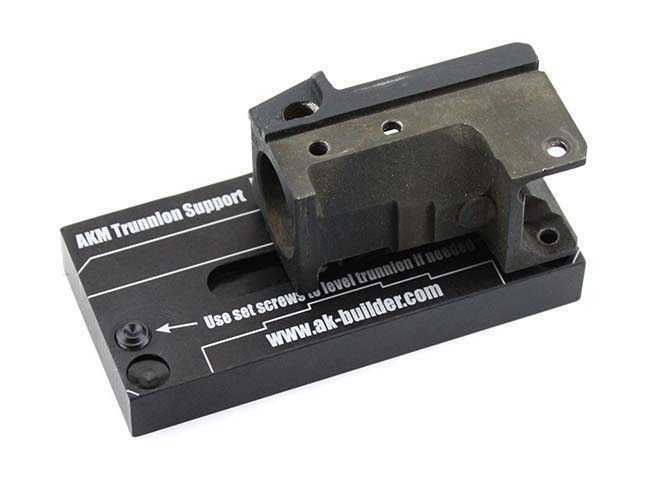 These are made from 6061 T6 aluminum then black anodized. 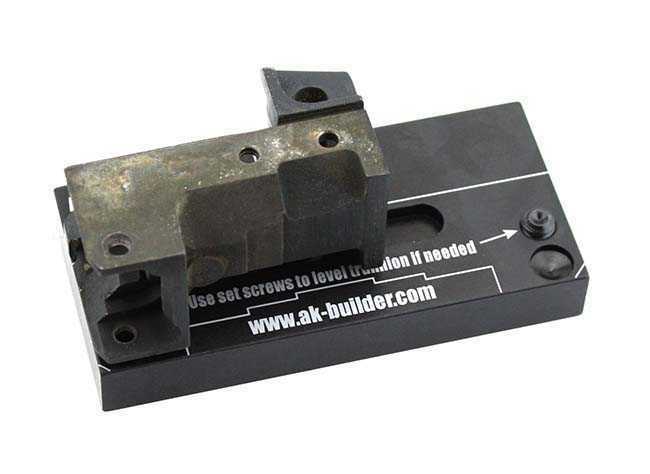 Comes with three set screws for leveling the trunnion if there is no receiver attached.